Stop wasting your money having to rebuy knife after knife because of their poor quality, get yourself a durable, high quality, Messermeister knife. Messermeister knives are built to last a lifetime with proper care. Messermeister knives are top quality for kitchen and restaurant use. 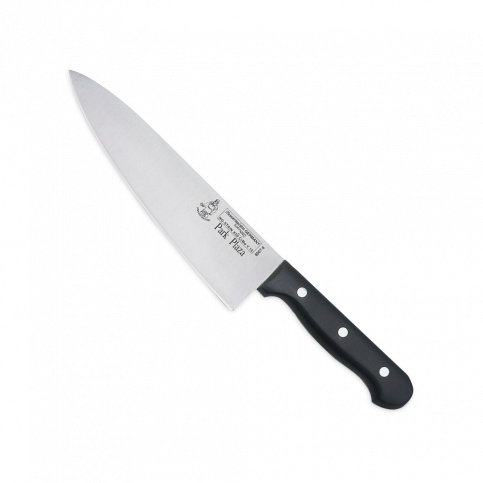 This Park Plaza Collection Chef's Knife, also known as a Cook's Knife or French Knife is the most versatile knife in the kitchen. 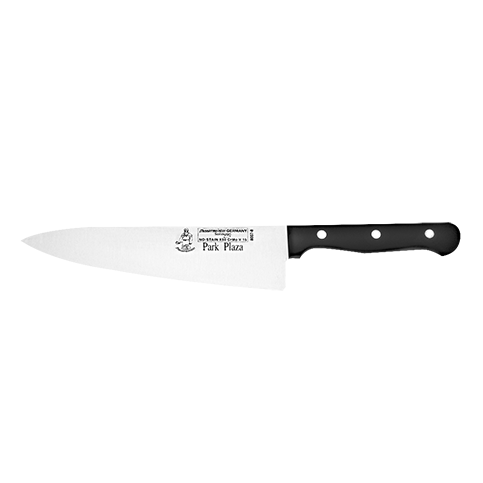 The Park Plaza Chef's Knife is great for slicing, dicing, peeling, cutting, anyway you desire to put it to use. The Park Plaza Chef's Knife can slice any kind of food from thin to thick with ease. The most used knife by professional chef's and a must to have in your knife collection.